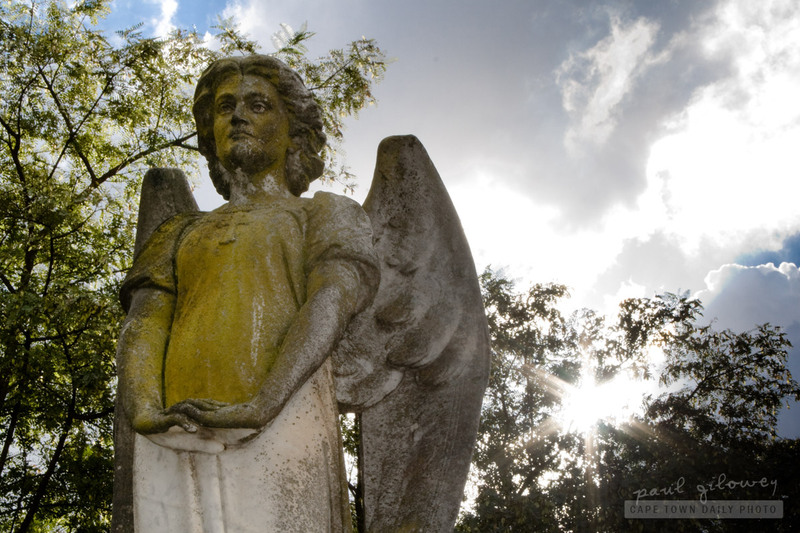 It seems strange to me to have statues of angels watching over graves. I suppose what I find strange about it is that the statue is really only there for the living who visit the graves of their departed loved ones. Do you think it offers some kind of comfort? Would you erect this kind of statue at a loved one's grave? How would you feel about one being erected in memory of you? I'm really interested to know. Posted in General and tagged angel, cemetery, statue on Thursday, 2 June, 2011 by Paul.